Since the new moon on Tuesday, life has gone from chaotic to manic…and I’m loving it! I had been dancing with Tribal Unity for four years when we finally sold our house and prepared to set off for our new adventure in Wales. 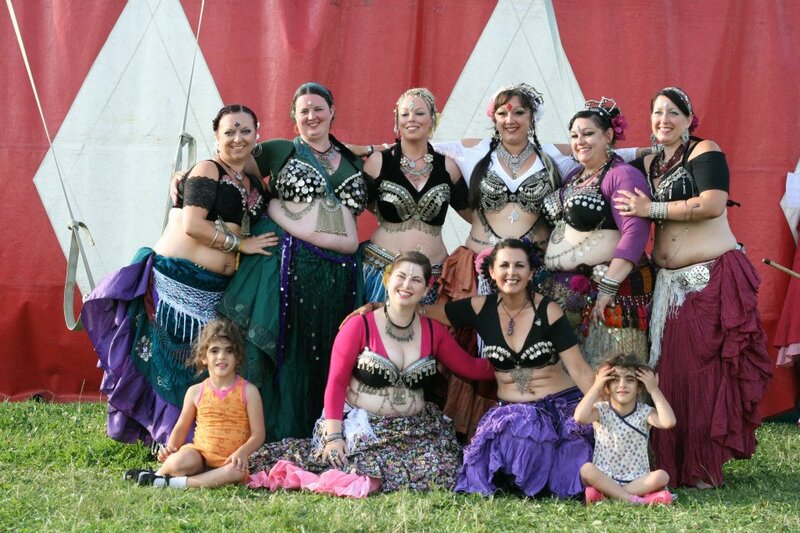 My wonderful ATS® Bellydance teacher, Deana Lawman, asked me if I would like to be Tribal Unity in Wales. 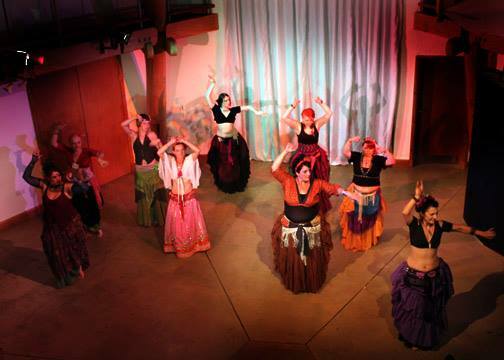 I was overwhelmed and delighted to accept such an honour so from August 2013 to February 2014, from tent life, to caravan life to a house with no heating, I planned how to begin teaching ATS® Bellydance. I found a venue, advertised in the local free magazine, The Grapevine, and began teaching in March 2014. 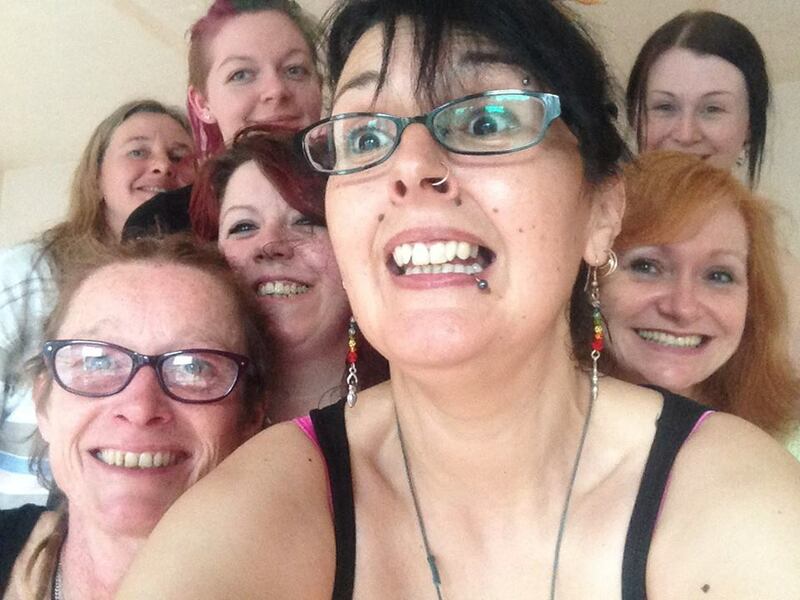 I met the most wonderful bunch of ladies! 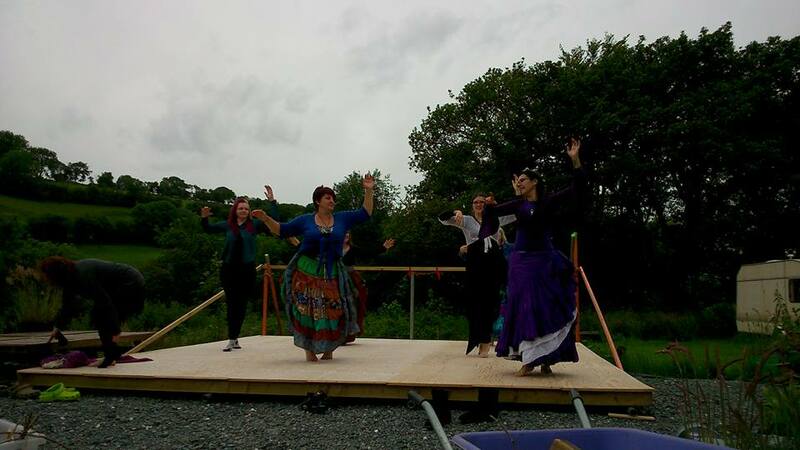 I planned to talk to them about dancing at the Lampeter World of Dance Festival in October, just one dance to show everyone how much fun we have in class but they way laid my plan by asking if they could dance at the Cardigan Bellydance in August…and we did! Everyone had so much fun they wanted to perform again…and again and again! ATS® Bellydance allows you as the dancer to bring yourself to the group and before my eyes, a Tribal Unity family was born. From May 2014, my Mum’s dementia worsened and frequent trips to Essex were exhausting and painful but these wonderful women supported me throughout and we danced together, for each other. 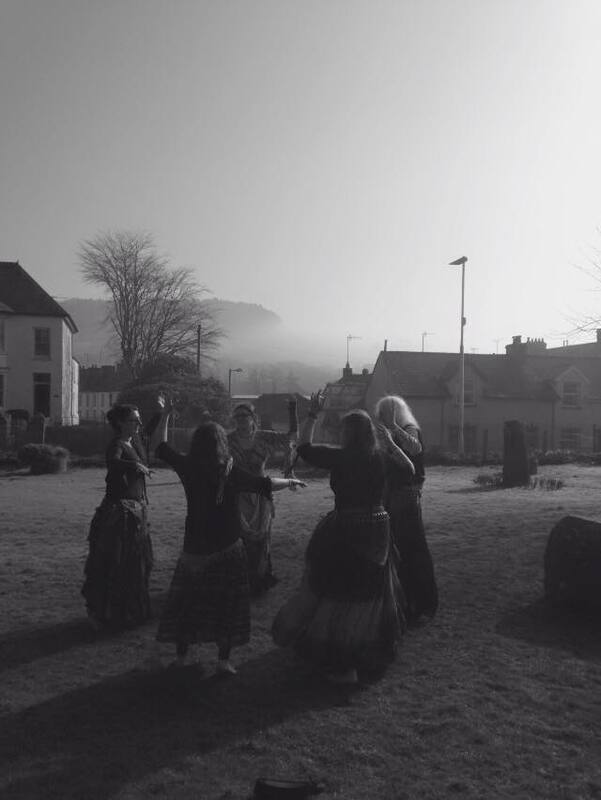 Indoors at the Cellan Beer Festival Dec 2014 to outdoors in the park at the eclipse in March, we have been there and danced. We’re now preparing for the Lampeter Food Festival on 25th July and the Cardigan Bellydance Festival on the 8th/9th August. We’re dancing at The LongWood Open Day on 6th September as well as two performances in October, also confirmed. And we danced together to celebrate the Summer Solstice, welcoming back the Holly King as he takes over from the Oak King, bringing in the harvest and preparing the Land for the winter. Our house is coming on…we have a roof now! 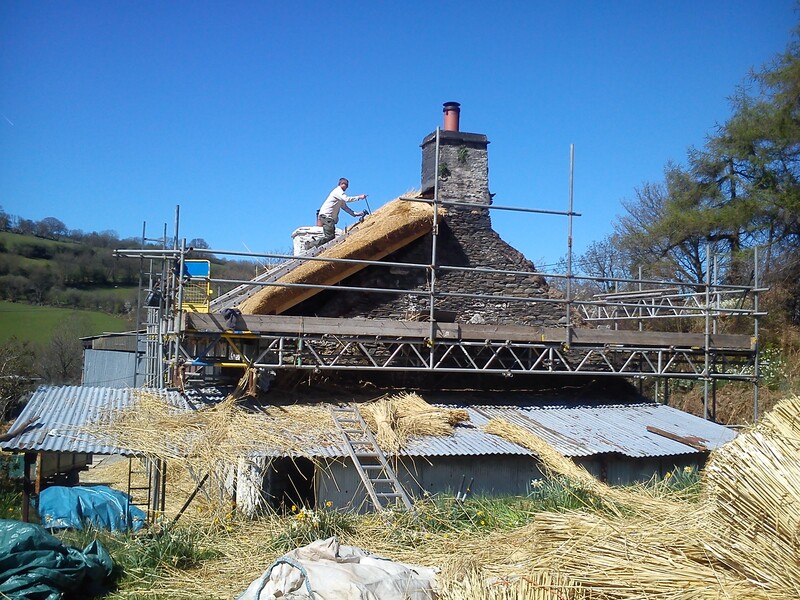 The new thatch is holding up well to the rain but we still need to finish the ends of the walls so they meet the roof so, we need clom…clay, sand, cow/horse poo and straw. But first, we need a man with a digger and he has been booked for Friday and Saturday, firstly to dig out our clay (we’ve removed the battered shed and agricultural asbestos sheeting that was in the way…don’t ask! ), mix with the straw we have left from thatching and poo we will collect from friendly farmer on Thursday night and secondly, to dig us a meandering pathway down to our riverbank. Last year we cleared Bramble Avenue so we could walk from one end of the riverbank to the other and this new pathway will mean easy access for the barrow and mower and a clear area to start working out from to plant our new trees (ash doing well, beech still a bit wobbly) for coppicing. 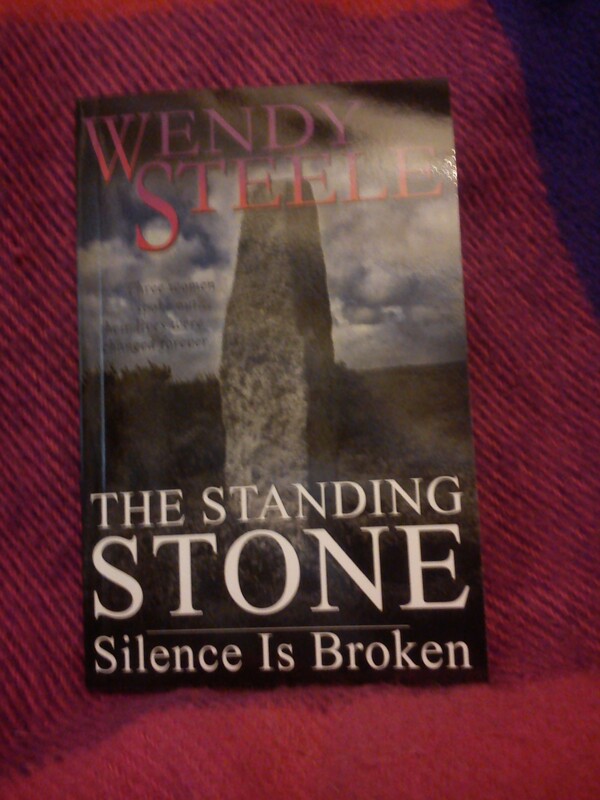 As well as all this excitement, I’ve been writing the third book in the Standing Stone series The Gathering, while editing the second book Silence is Broken, getting it ready for publication on 2nd July and guess what arrived in the post this morning? I love it when plans start to come together after months, even years, of hard work. Staying focussed on what I believe, trusting in myself and sharing warm heartedness helps with those difficult days. Solstice Blessings to all my friends around the world.